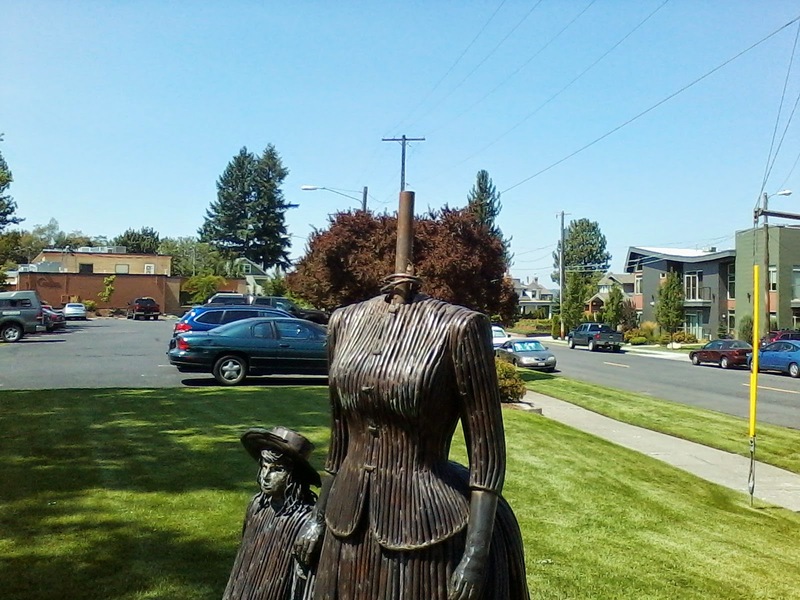 Someone has stolen Mrs. Browne's Head! The statue of Mrs. JJ Browne and Daughter, located at the intersection of 1st Avenue and Riverside Avenue has been vandalized. This statue was crafted by Sister Paula Turnbull (garbage eating goat fame), and erected in 2005.